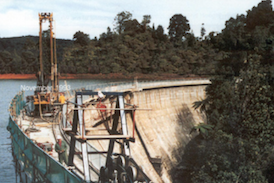 BBR Contech’s story began in the 1950s, when the Government called for tenders for the Roxburgh Dam. That contract was won by an international joint venture that included Conrad Zschokke, a contractor from Switzerland. 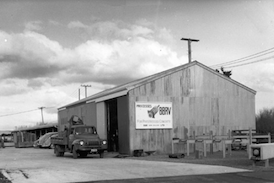 Once the project was complete Zschokke established a local presence, joining a Masterton company to form Rigg Zschokke. When in the early 1960s projects started requiring post-tensioning technology, Zschokke’s Swiss-based business associate BBR was in the perfect position to help. In 1963 BBR New Zealand was born. Adding to the story was a young engineering graduate called Rob Irwin, who had travelled to Europe in 1961 and secured a job with Conrad Zschokke. Antonio Brandestini, who also worked for Conrad Zschokke, was one of BBR New Zealand’s founders. Rob went on to gain post-tensioning experience in Switzerland, then in 1966 returned with his skills and experience to take over the running of the team at BBR New Zealand. This was the start of BBR Contech as we now know it. 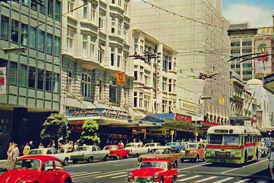 In the half-century since 1963, a series of mergers and acquisitions has seen the company change names, market new skills and techniques and undertake a diverse range of projects in New Zealand and overseas. Throughout, its core capabilities have remained a constant: harnessing BBR’s world-leading post-tensioning technology and partnering with other global technology specialists to complete ground anchoring, construction engineering and structural maintenance, repair and retrofitting projects. 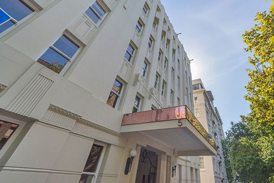 Today, the company is known as BBR Contech, with headquarters in Auckland, offices in Wellington and Christchurch, and a dedicated team of some 70 specialists working with clients nationwide. It’s widely recognised for its outstanding technical expertise and is an active member of the international BBR Network, working in close collaboration with other members around the world. BBR New Zealand founded in Masterton. Thorndon Overbridge - with its 300+ post-tensioned ‘I’ beams utilising some 800t of prestressing, this was the first major post-tensioning project undertaken by BBR New Zealand. 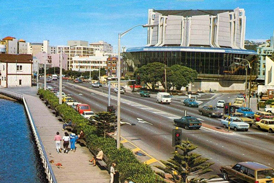 The 1970's saw an intensive decade of bridge building as New Zealand started to develop its transport infrastructure – chiefly to support the improvements needed to the roading network around our main cities. In Auckland, significant projects included Karangahape Rd Overbridge, Hopetoun St Viaduct, Symonds St Bridge, Newton Gully Bridges, Grafton Gully Bridges, Upper Harbour Bridge, Newton Rd Interchanges, Mangere Bridge, Silverdale Bridges and Hobson St Ramp. 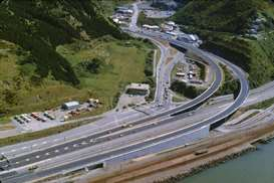 In Wellington, projects included Aotea Quay onramp/offramp, Bowen St Overpass, May St Bridge, Molesworth St Bridge and the Shell Gully structures. 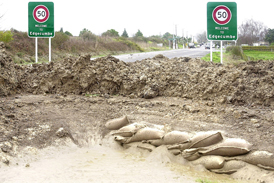 In the regions, other bridges during this period included Whakamaru Bridge, Lower Shotover Bridge and Waikato River Sewer Bridge. Upper Harbour Bridge - design input for bridge and balanced cantilever construction by BBRV in Zurich. The original bridge on the left and on the right, the 2004 ‘duplication bridge’ also constructed with BBR post-tensioning. 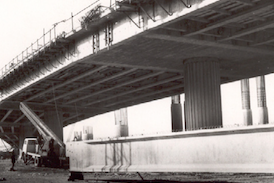 Shell Gully bridge structures - one of many bridge projects BBR Contech worked on in the 1970s during development of city and motorway infrastructure in Wellington. 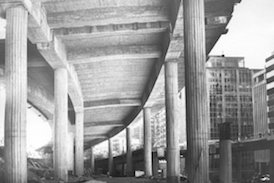 The 1980s saw a continuation of significant bridge building related to the road and rail network. 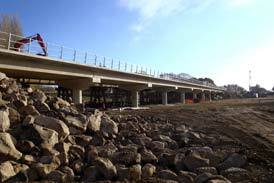 Structures completed included Mangaweka Rail Deviation Bridge, Rangitikei Rail Bridge, Massey Rd Overbridge (Hamilton), Fitzherbert Bridge (Palmerston North) and the Ngauranga Interchange in Wellington. Construction of twin-curved Ngauranga ‘flyover’ bridges in Wellington was carried out using the incremental launching method for the first time in Australasia and featured BBR post-tensioning. 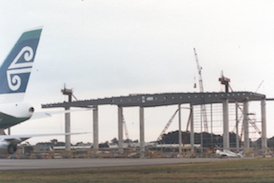 Air New Zealand Jumbo Jet hangar, Auckland – heavy lifting of 3 prefabricated roof beams over 100m long and placed on top of 30m high columns. Each beam weighed 200 tonnes. Boiler Recovery heavy lift for Tasman Pulp and Paper Mill. 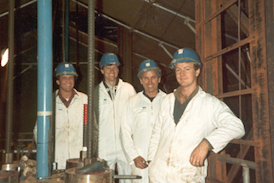 Several members of the proud lift crew take time out for a photo - included are two people who continue to make contributions today - Mike Lawson (right) and Rob Robinson (second from right). Redoubt Rd Reservoir No. 2 constructed in Auckland comprising a single pour one-piece post-tensioned slab measuring 78m x 100m. 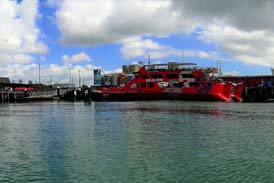 The Edgecumbe earthquake hits the Bay of Plenty. 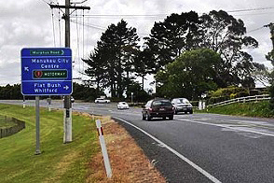 There is substantial property damage and BBR Contech responds to provide epoxy injection, crack repair and structural upgrading services – establishing a local branch office in Rotorua. 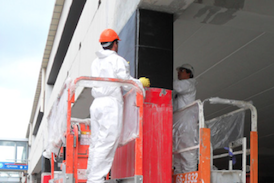 An impressed current cathodic protection system is installed to address concrete deterioration on the façade of the 8-storey Westminster Court building in Auckland. This was the first such installation in New Zealand. Installation of BBR CONA rock anchors for Waitakere Dam, Auckland, New Zealand. 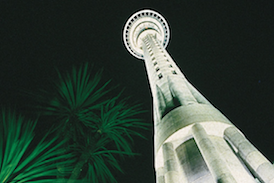 Sky Tower, Auckland, New Zealand - BBR Contech developed the BBR Multiwire Z36 internal anchorage which was the first time a BBR centre stressing anchorage of this size had been used anywhere in the world. 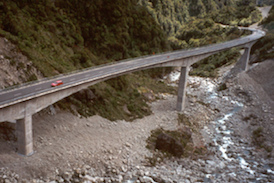 Otira Viaduct - balanced cantilever bridge built in the remote Southern Alps. 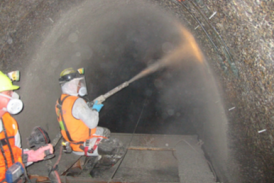 Rehabilitation of Eastern Interceptor, Auckland – dry-sprayed application of a calcium aluminate concrete is used to address biogenic corrosion to critical sections of this large diameter wastewater asset. 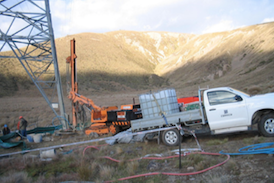 Extensive programme of strengthening of Transpower transmission tower foundations in the Canterbury region and Upper South Island. 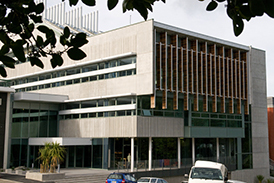 New Zealand Concrete Society Concrete and Technology Awards for work on Victoria University of Wellington Alan MacDiarmid Building. This was New Zealand’s first multi-storey unbonded post-tensioned precast concrete building, built using the innovative PRESSS (Precast Seismic Structural System) technology. 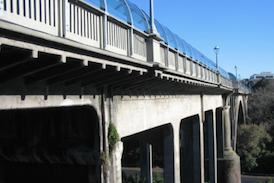 Strengthening of deck beams on the historic 100-year old Grafton Bridge in Auckland with carbon fibre laminates. 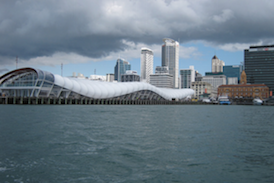 Queens Wharf upgrading – repair and strengthening of Queens Wharf as part of the redevelopment of the Auckland waterfront to host the 2011 Rugby World Cup. Concrete repair and FRP strengthening to 250 columns at The Palms shopping mall in Christchurch following the February 2011 earthquake. 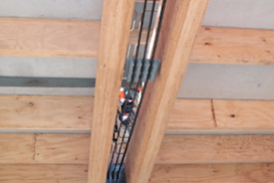 A growing number of buildings constructed out of concrete, steel and timber are utilising innovative damage-resistant design techniques incorporating post-tensioning. 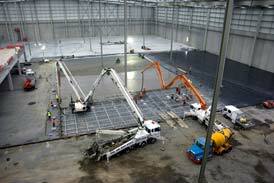 With completion of the Fonterra Darfield development, BBR Contech will have produced more than 1.5 million square meters of post-tensioned floor slabs in over 250 projects, having first introduced post-tensioned slabs to New Zealand in the late 1960s. 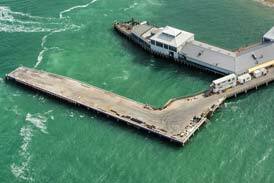 A design-build repair project carried out in partnership with Downer to repair and upgrade the wharf so that it could be re-opened for full public access. 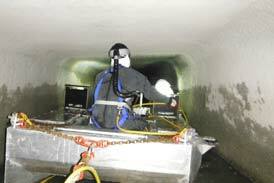 Our largest sewer rehabilitation project to date on Watercare’s Eastern Interceptor sewer in Auckland comprising 3,200m2 of sewer wall lining and 400 tonnes of Kerneos calcium aluminate cement. An Honorary Membership was awarded to Managing Director Paul Wymer in recognition and appreciation for an outstanding contribution to the New Zealand Concrete Society. BBR VT International celebrates its 70th anniversary. 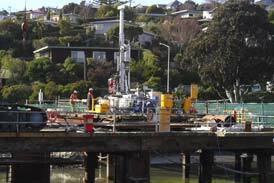 The lifeline bridge in Christchurch was replaced and innovative technology was used to ensure new piles were locked into place into the founding rock. Working in partnership with Opus, HEB, Pro-drill and Council the bridge piles were successfully installed and high pressure grout was injected into the annulus around the piles to ensure full contact with the ground. 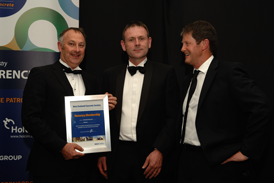 The project received a New Zealand Concrete Society Infrastructure Award commendation in 2015. 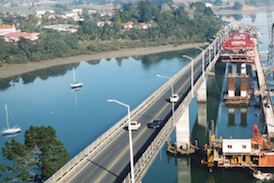 A new 126m long post-tensioned rail bridge for KiwiRail is completed. For Sistema Plastics warehouse adjacent to Auckland Airport. This 45,000m2 PT floor was carried out in conjunction with Conslab and Haydn & Rollett and this project took BBR Contech’s tally to more than 2 million square metres. 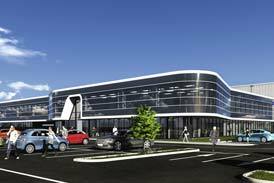 BBR Contech opens its new Auckland headquarters and warehouse facility. 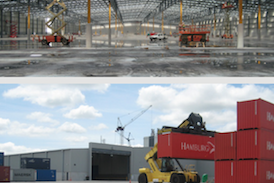 A world first was achieved with the post-tensioning of a floor for a VNA super-flat floor for this 24,000m2 warehouse in Auckland. Completed in 2015, the project was submitted for the 2017 American Post-tensioning Institute (PTI) Awards for Excellence and was the winner in the Slab-on-Grade category which recognised this as a world-leading achievement. Having started with BBR Contech in 2017 as General Manager, Derek Bilby is appointed as Chief Executive and Paul Wymer is elected to Chairman of Directors. BBR Contech is part of the design and construction alliance comprising Downer, McConnell Dowell, Beca and Tonkin & Taylor, which is tasked with developing facilities and other infrastructure for the event. BBR Contech is responsible for repairing and upgrading Wynyard Wharf, where four of the challenger syndicates will be based. 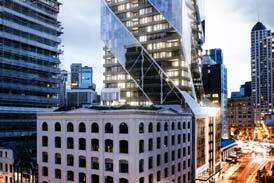 Work commences on the 56-storey Pacific tower which features expertise from the JV formed between Australian and NZ BBR Network Members, SRG Ltd and BBR Contech. All floors feature PT with a total area of 36,000m2.